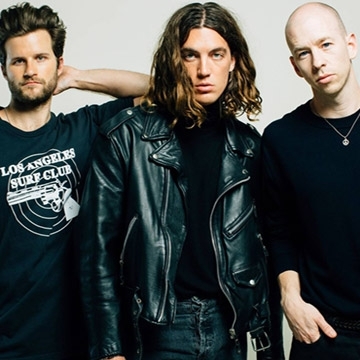 American three-piece alternative band Lany are from Los Angeles, California, United States. When Klein and bandmates Les Priest and Jake Goss put their first song online in 2014 they had no social followers, no fans and no photos; within weeks their play counts were leaping up exponentially, and their take on modern alternative-pop was building up a steady following. The group has a huge 2018 ahead of them as they are set to embark on another year of touring. They have already announced their first-ever arena show, in Manila, which sold out in less than 24 hours, prompting the addition of a second date – which also sold out. They play the U.S. festival circuit this summer with sets at Coachella, Governors Ball, Bonnaroo and more to be announced. They are currently in the studio working on new music for album number 2.